Tip of the Day: “Balance is very important to maintain as we age. One must be stable before one is mobile!” – Holly G., PT, DPT, from Wyoming. 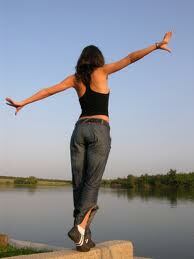 Balance requires a combination of good muscle strength, flexibility, vision, and vestibular (inner ear) function. For more information on Balance, balance training, and fitness, send us an email, facebook or twitter message. Or call us at 504 841 0150.